If you are involved in the planning of a class reunion or responsible for hosting it, you probably already know how important icebreakers are to getting the event started. After an extended period of time away from classmates many attendees will probably be reserved and need encouragement to get comfortable. Try these activities to help get the party started! 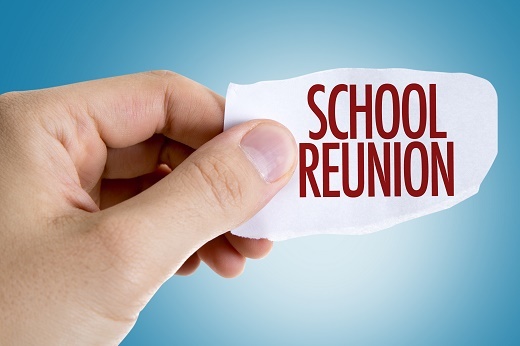 One of the easiest class reunion activity ideas to get attendees comfortable is displaying a photo slideshow or video that features classmates during their school years. This can help create a nostalgia effect that spurs others to get excited and involved. Make sure the photos or video won’t bring back uncomfortable moments for some that may be in attendance. For the most part, everyone loves a game show. By allowing attendees to be on their very own game show, a good experience can often be achieved. Try tailoring the questions to the era you graduated or to events relevant to your classmates for the most impact. You would be hard pressed to find an attendee that doesn’t have his or her yearbook still. Encourage attendees to bring their yearbooks to compare. Who knows? You may have always missed out on signatures and this could be the chance to get them filled! To ensure everyone remembers the event in the future, take a new class photo. This is a great way to cap off the night when everyone has settled in. It can also be fun to compare the new class photo to the old one to see how much everyone has changed. We hope these class reunion activity ideas have given you an idea of what you can do to make your event a success. Stokely Event Center has many of the amenities necessary to help you included in the booking price. Contact us today to see how we can help!